GP clinics: Bulkbilled to Medicare. Bring your valid Medicare card with you. If you don’t have a Medicare card and are not eligible for one you may need to pay any costs for blood tests and any other pathology costs which might be incurred. Acupuncture: $10 or $5 donation per visit. Acupuncture is for women on low incomes only. Naturopathy costs average $20 to $100 a visit depending on the prescription of the vitamins and herbs. An additional $10 or $5 for the appointment is appreciated. Naturopathy is for women on low incomes only. Counselling: $10 or $5 per visit. Most of our counselling is for women on low incomes only. Check the Counselling page on this website for details or contact us. Women with chronic and complex health problems may be eligible through Medicare if referred by a GP. Speak with your GP about Medicare’s requirements. GP referrals would be addressed to our physiotherapist Tusanee Jierasak. Cancellations require 48 hours notice otherwise the fee will be charged. Our physiotherapy is recognised by the major funds as a provider. Groups have fees of sliding scale (an average of $10 or $5 per session). Any woman can attend these health education courses. Please let us know if your financial situation is a barrier for you and we can discuss options for payment and concessions. To check other eligibility criteria, please go to the page for the specific service and check details – or just call us. 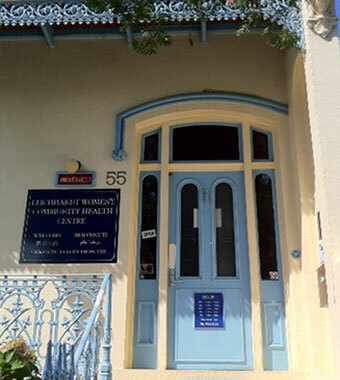 For example, some services such as acupuncture, drug and alcohol counselling and naturopathy are for low income women who live in Sydney Local Health District (which broadly is Sydney’s inner west, the city and the suburbs which stretch from Drummoyne to Campsie, Lakemba and Strathfield).